General Large Shipping Invoices GEN0106 At Print EZ. General Large Shipping Invoices Item No. Size: 2 29/32" x 3/4"
General Large Shipping Invoices Item No. Be it clean records, easy filling or getting noticed, these general large shipping invoices cover it all. With both the shipping and billings details listed out on one piece of paper, things do become very convenient for you as well as your customer. The added length of the invoices makes it ideal for large shipping orders where the various items are many in number. 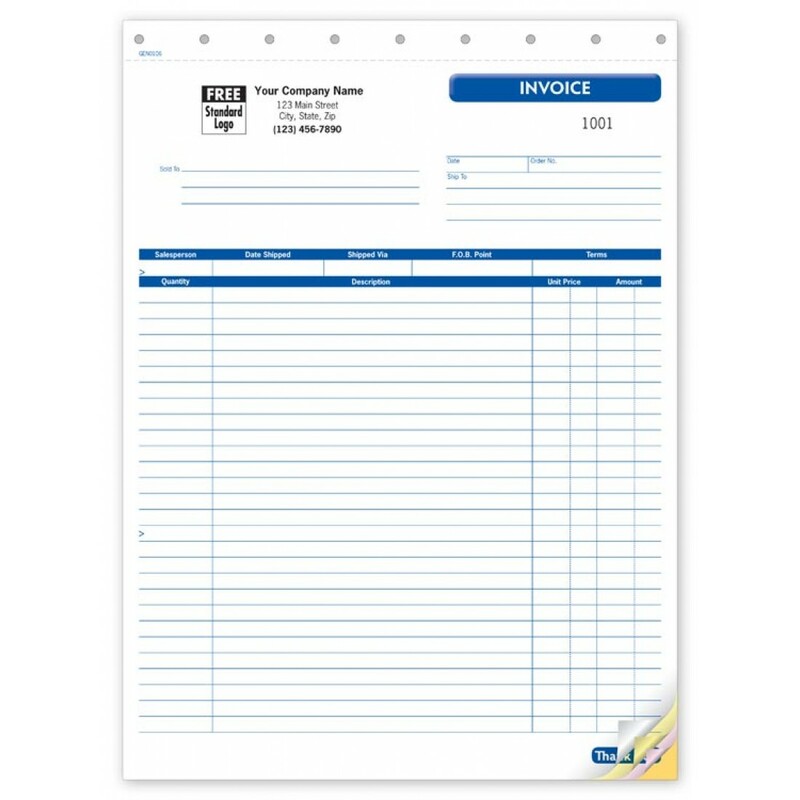 No need for confusion and cumbersome several small invoices, just one sheet will carry all the information. Enjoy the snap set version of these forms in order to file them quickly, while the free consecutive numbering facility will go a long way when referring back to these files.